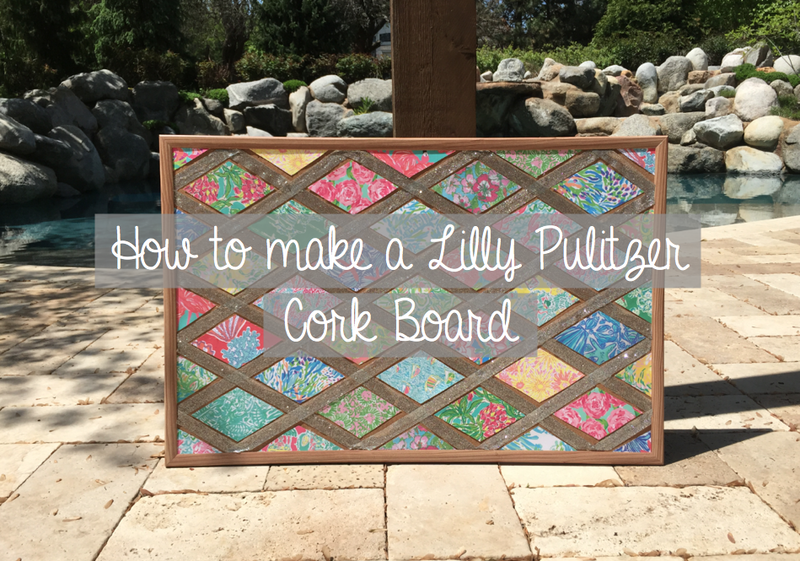 So if you’ve read my blog for awhile you may be catching on that I love Lilly Pulitzer! 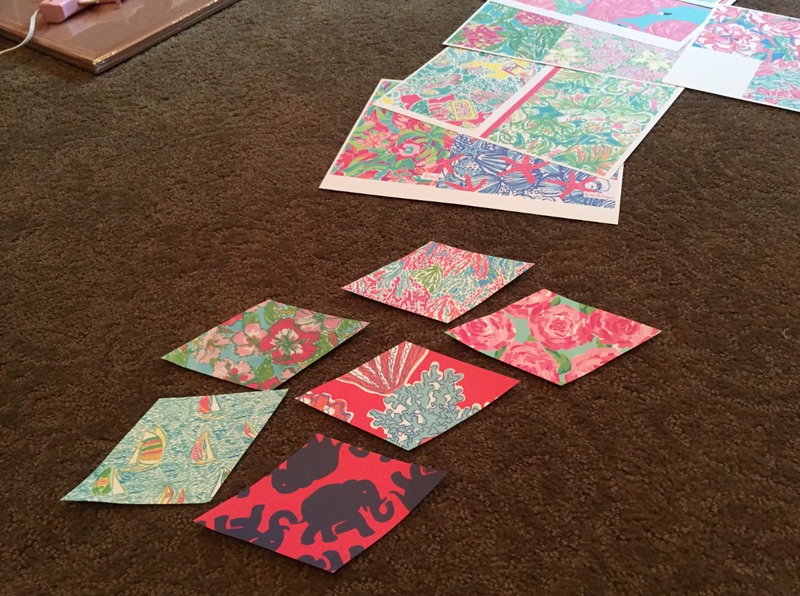 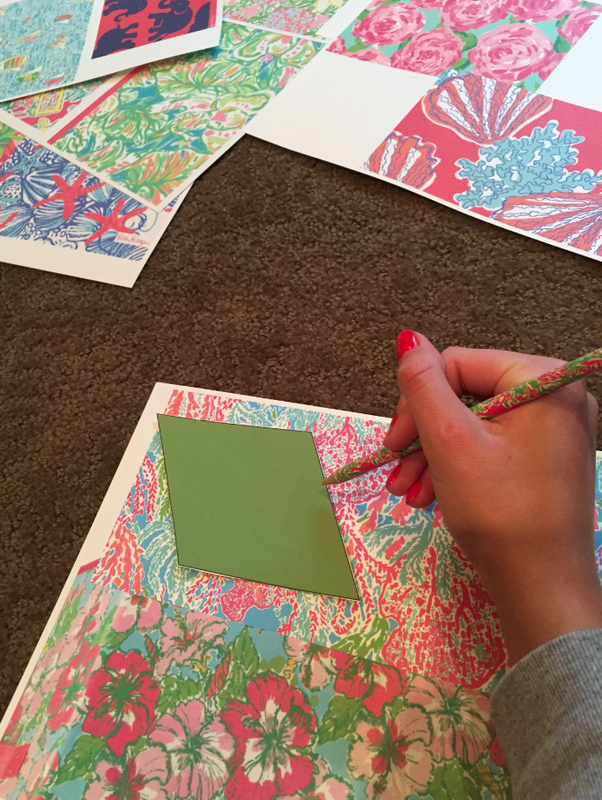 I’ve done some Lilly crafts in the past, like these Lilly Pulitzer letters, so I thought I would share another! 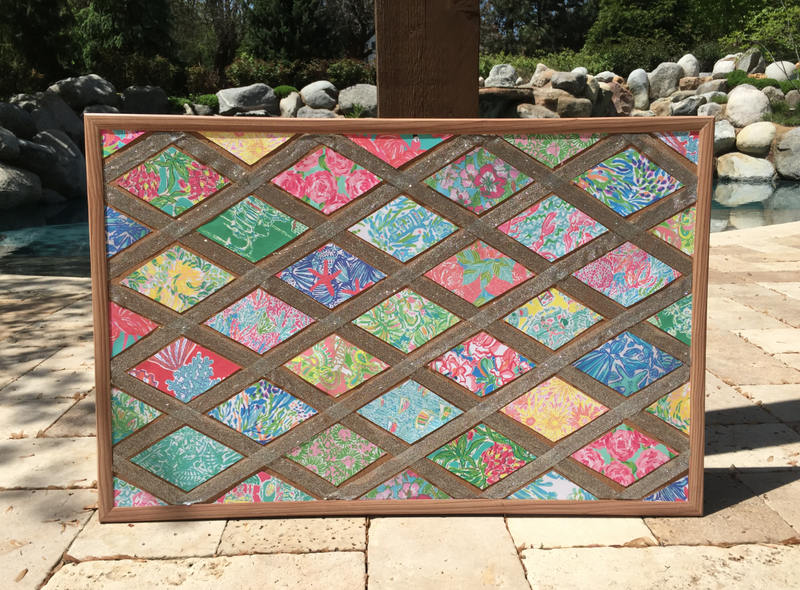 I’ve made this before for my bedroom but I wanted to make another for my dorm room! 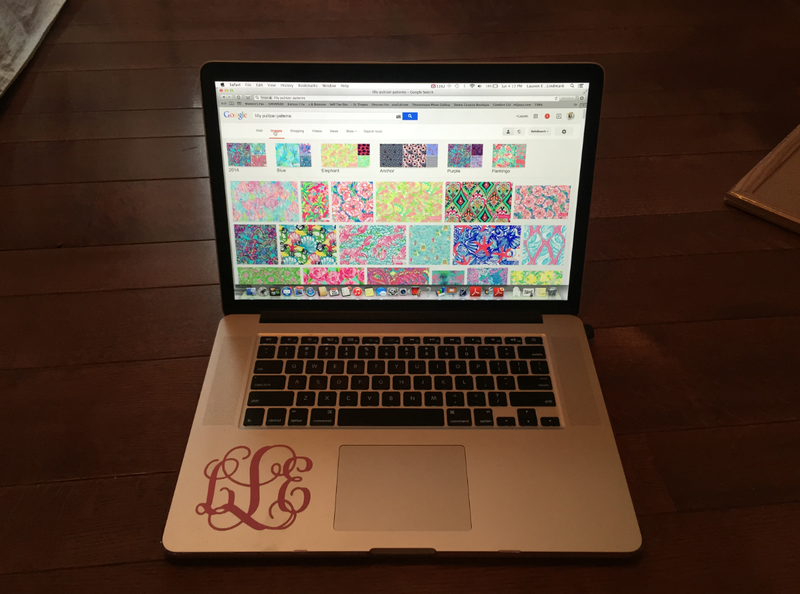 Next get on the computer and search for Lilly Pulitzer prints to print off, I just searched “Lilly Pulitzer Prints” and they came up! 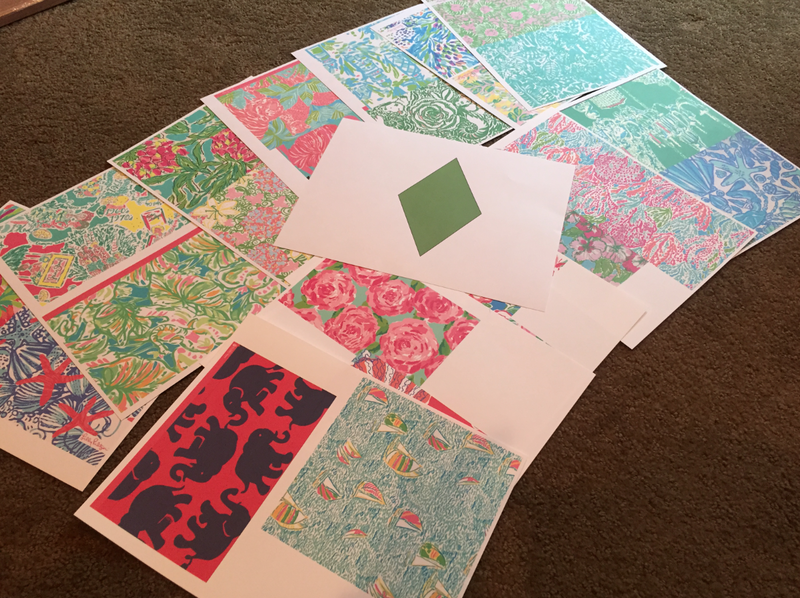 I also opened a word document and went to shapes to print off a diamond shape (see below) so I could use that as a stencil to cut out the Lilly prints. 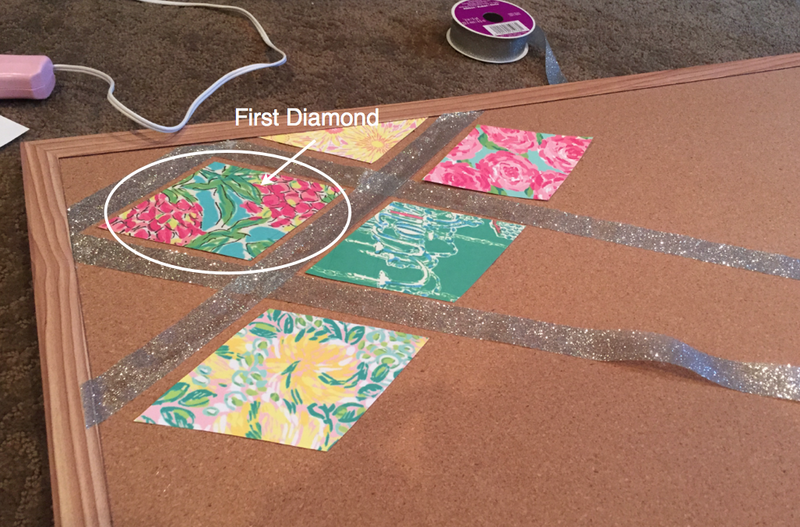 Next cut out your “stencil” and start cutting out all your diamonds for the cork board. Next, start by gluing one diamond in the corner of your board leaving enough space around it to start putting ribbon. 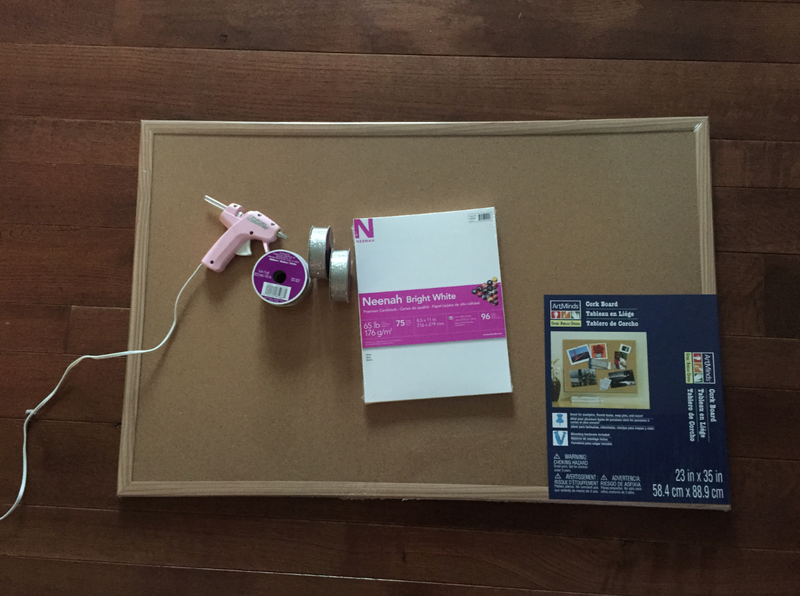 The ribbon is continuous so make sure you cut enough ribbon to make it from one end of the bulletin board to another. 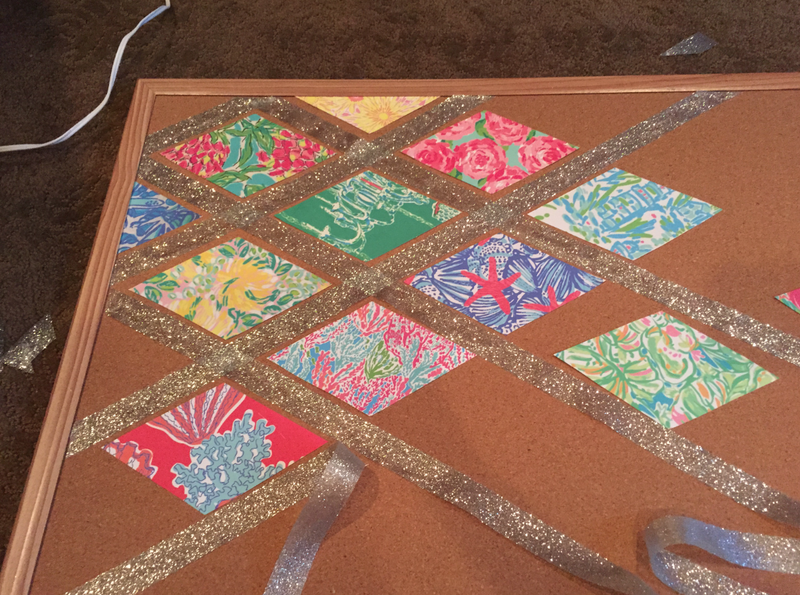 Continue adding diamonds, I only glue the ribbon around the diamonds that are already glued down (meaning the ribbon isn’t glued down from one end of the board to the other right away…the ribbons below are loose where diamonds are not glued yet).